As the temperature rises, some of the dogs at Orphans of the Storm® have to shed their winter coats and show off their nice, shorter, cooler summer fur. That was the case for two of the three dogs I met this week. First up was Athena, who is far too pretty to ignore. This seven-year-old Shepherd mix probably has some Chow Chow in her, too: she has that signature blue tongue and a Chow-like face, which is adorable, attentive, and intelligent. She is a big, strong girl who will look at least a little smaller once all that winter fur comes off. It seemed like Athena absolutely loves car rides. We had to walk past a few cars to get to the off-leash run, and at one point she put her paws up on a car door and looked inside the window eagerly (sorry if your car now has paw prints!). She wagged her tail and kept looking up at me, asking, “Can we go for a ride? Can we? Can we?” Unfortunately, we could not. Once we were inside the run, Athena was happy to be pet and even let me pull off some tufts of fur. (A little birdie came by and picked it up off the ground, to make a soft nest for some baby birdies!) 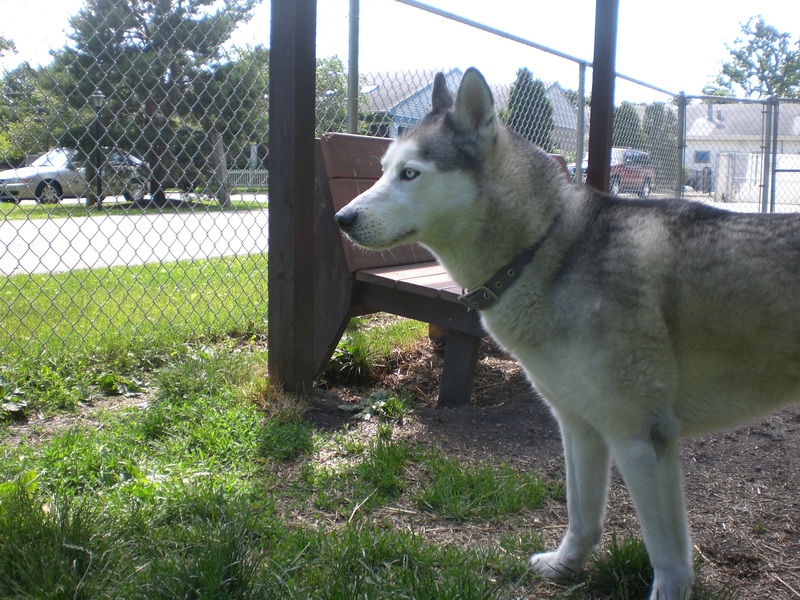 If you’re looking for a big, fluffy dog to be your new companion, come to the shelter and meet Athena! 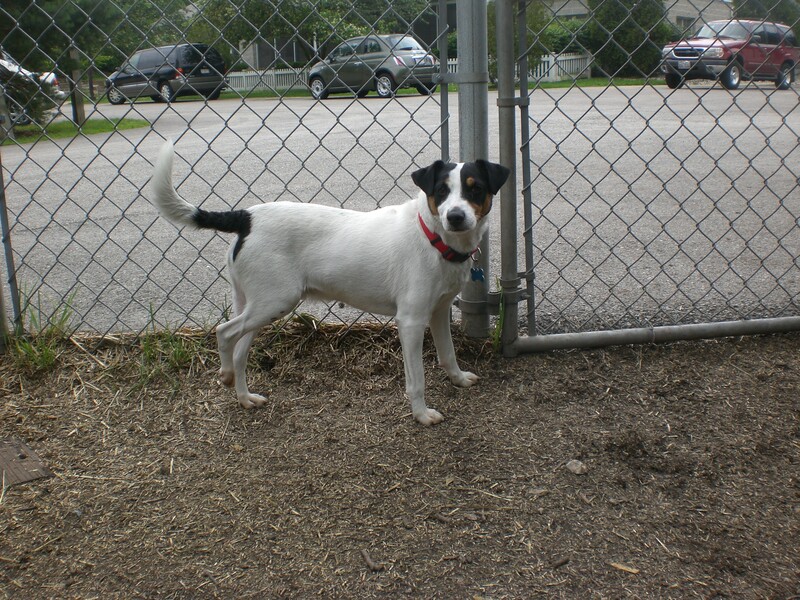 Next up was Cosmo, a two-year-old Fox Terrier mix. These pooches are getting adopted faster than I can write about them! Cosmo has since been adopted (hurray!) but I’ll leave his post up here anyway because he was such a cutie. 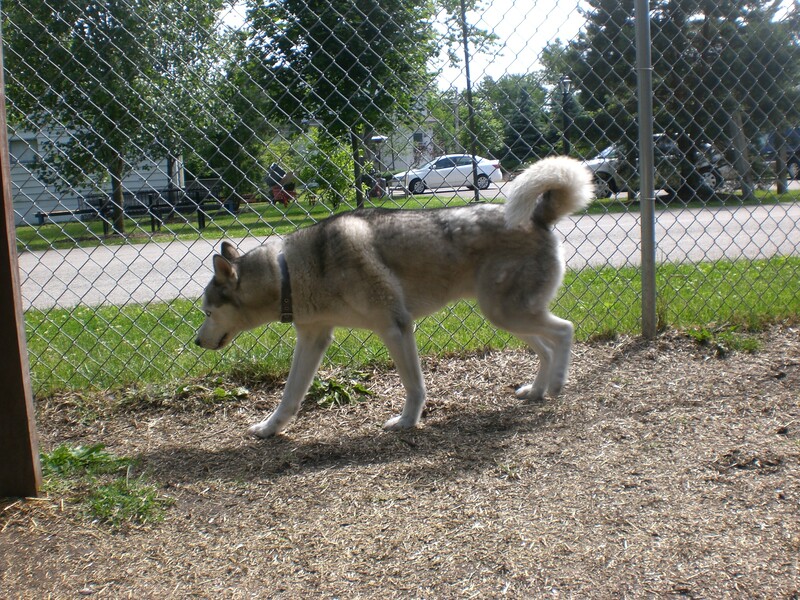 With his short fur, he doesn’t have to worry about changing his coat for different seasons. 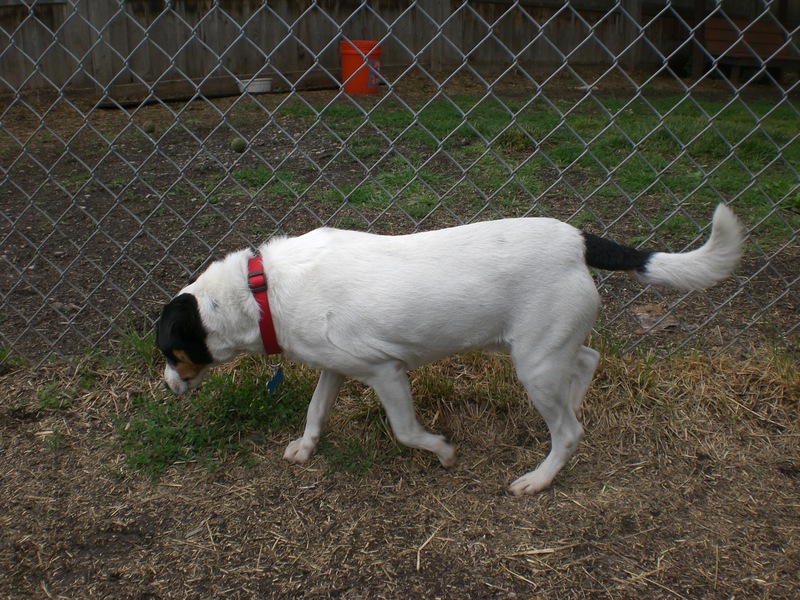 He is a sweet little dog who shares a kennel with Frito the Chihuahua, but enjoyed getting my undivided attention. 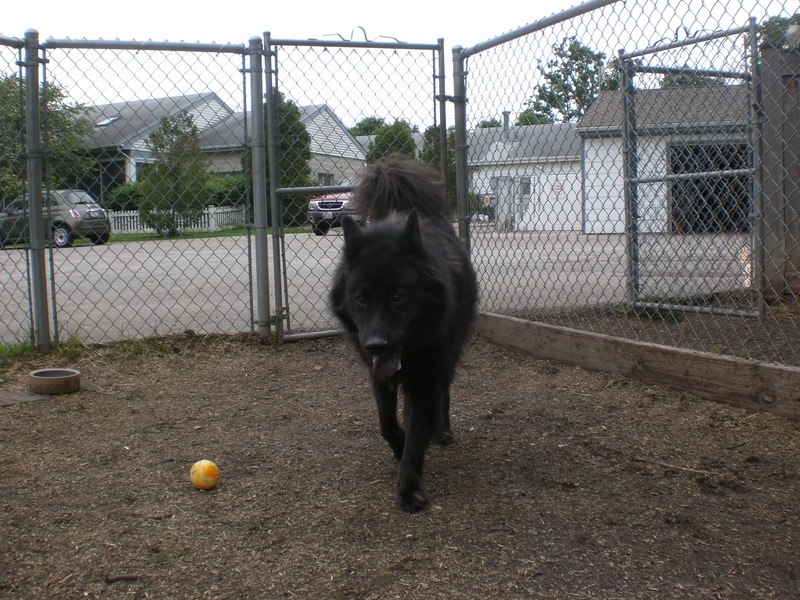 He walked well on the leash as we made our way over to the run, and then scampered around happily once we were inside. Cosmo’s face is just too cute. He seemed to like my face, too; he kept coming over to me and putting his nose right up to mine. I scratched his cute ears and we rubbed noses until he scampered off to explore again. He would always come over to me with his tail wagging, and it would keep wagging the entire time I pet him. This happy dog is ready for his new forever home. If you’re won over by his adorable face and wagging tail, like I was, then maybe it will be with you! Look at Cosmo’s too-cute face! 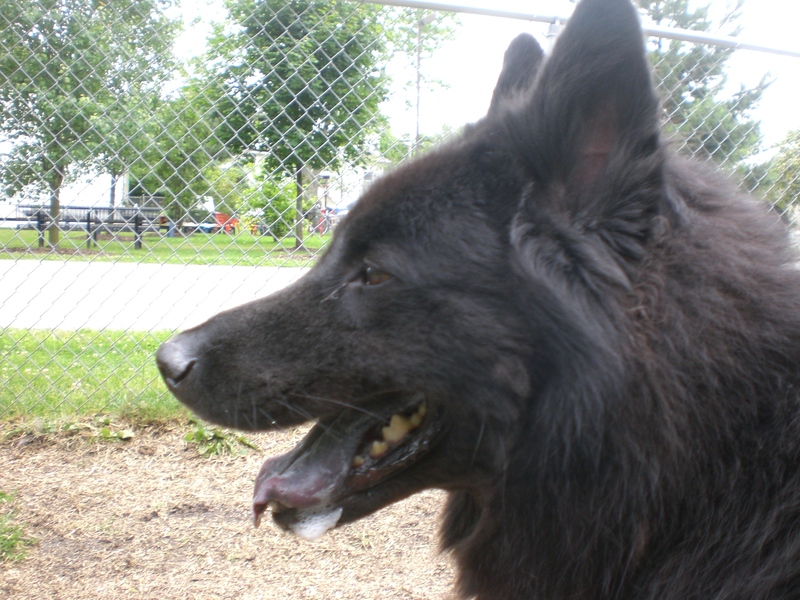 Last for the day was Victor, who certainly rivals Akiva for one of the best-looking dogs at the shelter. 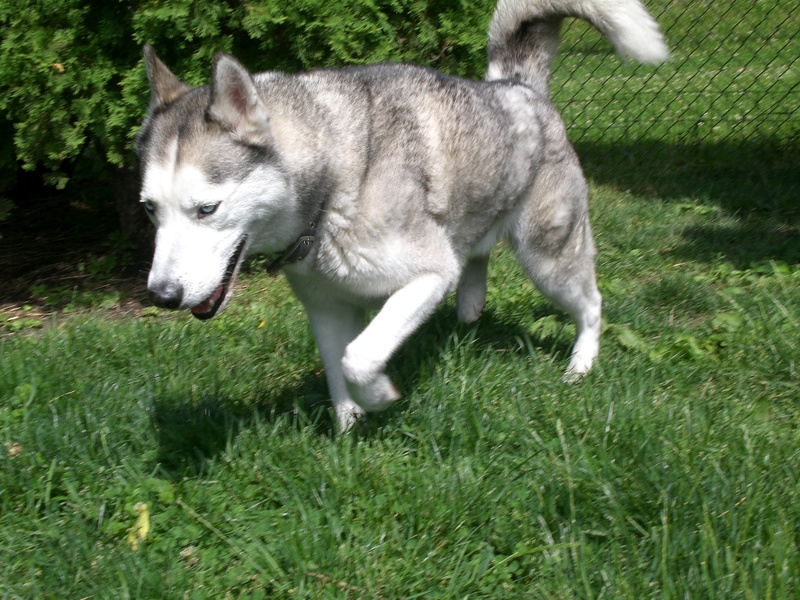 Victor is a two-year-old Siberian Husky mix, and he has that shimmery silver fur and those intense ice-blue eyes. Victor knows exactly what his breed is good at: running. Once I put the leash on him and opened his kennel door, we were off. A couple weeks ago, I saw another volunteer come to the shelter in full running gear. He took both Victor and Daisy (another Husky mix who has since been adopted) out for long runs, which I’m sure they enjoyed immensely. If you’re looking for a running buddy, Victor is an excellent choice. He seemed a little disappointed that I wasn’t going to be running more than fifty yards with him. Victor is also in the process of losing his winter coat, but his summer coat is absolutely stunning. It is still incredibly soft and fluffy. Even though Victor probably thought he was the lucky one getting pet, I thought I was lucky that I got to be the one petting him! This sweet boy needs to be free to do what he was bred to do, so don’t make him wait too long in his kennel. He’s ready for a home! 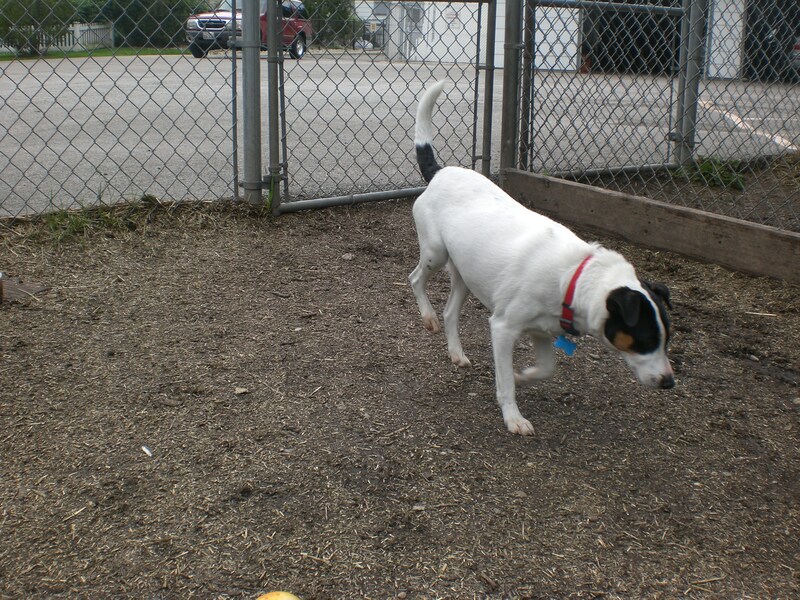 Posted by Meet the Pooches on June 3, 2012 in Dog Profiles and tagged adoption, animal shelter, Chicago, Chow Chow, dogs, Fox Terrier, Orphans of the Storm, pets, Shepherd, Siberian Husky.